A new superb metal rollerball or ballpen in a unique conical shape. A76009 Evora rollerball by Inovo Design in matt black or gloss red and blue lacquer with bright chrome styling. Fitted with a high quality German made Roller Writer black ink refill. A76028 Silver Evora rollerball by Inovo Design in silver satin chrome with bright chrome styling. Fitted with a high quality German made Roller Writer black ink refill. 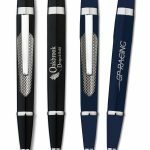 A76033 Evora ballpen by Inovo Design in matt black or gloss blue lacquer with bright chrome styling. Fitted with a German made Parker style black ink. A76035 Silver Evora ballpen by Inovo Design in silver satin chrome with bright chrome styling. Fitted with a German made Parker style black ink refill. 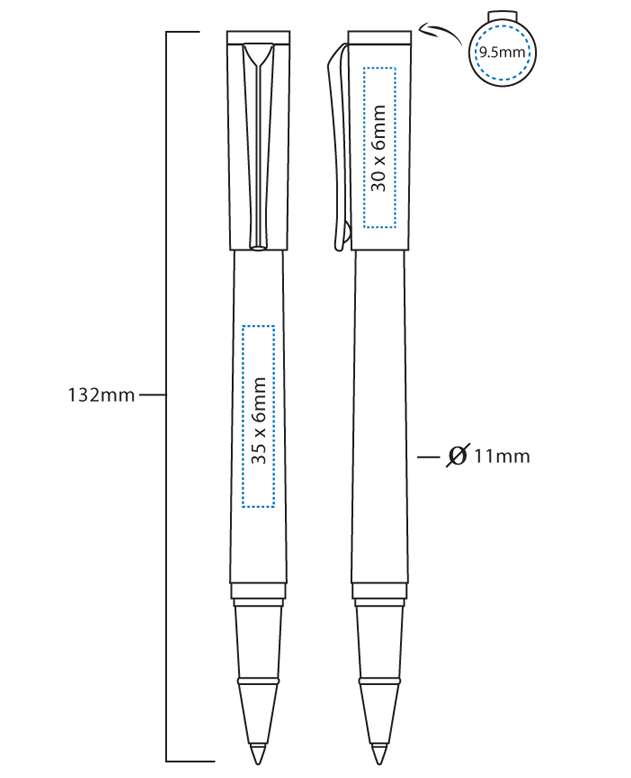 The box illustrated below is a recommendation for the Evora range and is charged at additional cost to the unit price of the pen. R1 Presentation Box A low cost presentation box in black recycled card with an elastic loop fastener for one pen. Screen printing on the box sleeve is available. 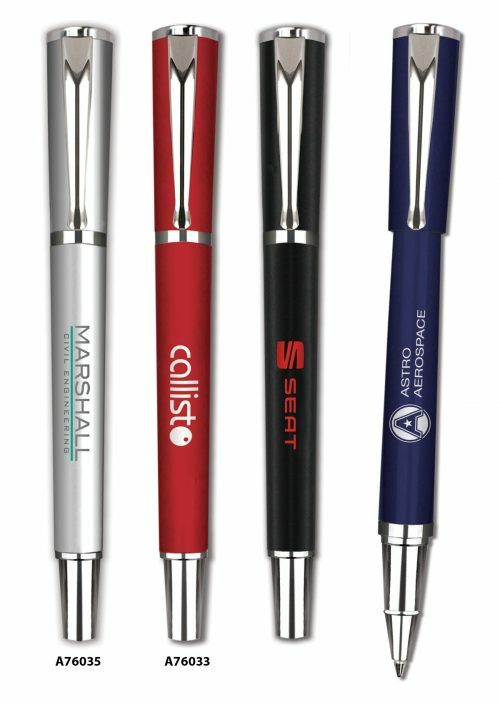 High resolution laser engraving is a permanent alternative to screen printing which reproduces designs in incredible clarity and detail. A white aluminium colour is reproduced on the barrel or cap of the matt black or gloss lacquered finish. 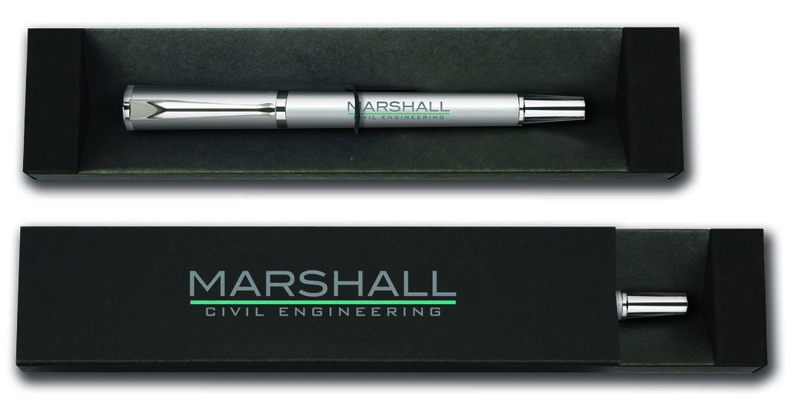 A grey colour is reproduced on the silver satin chrome finish and a grey colour is reproduced on the crown of the cap. Laser engraving is an additional cost to screen printing. 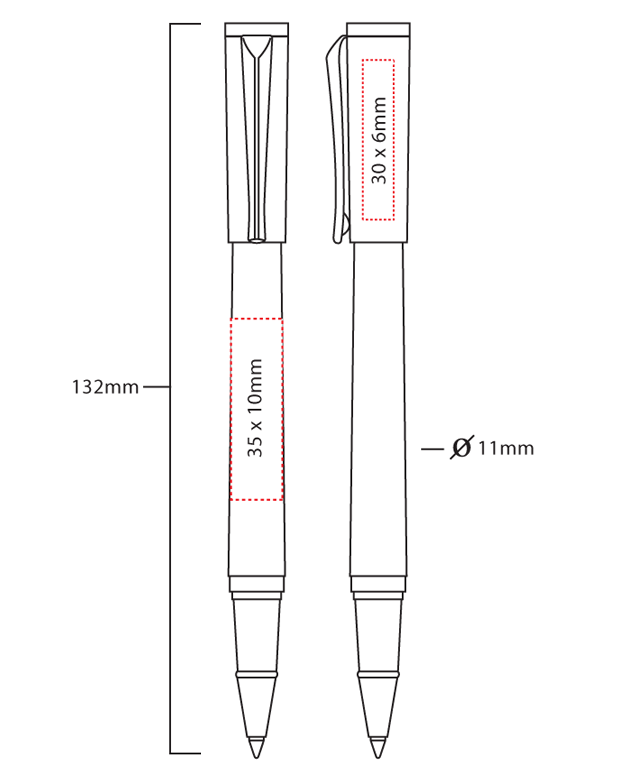 The Evora ballpen is fitted with a high specification German made Parker style black ink refill with a write out length at least twice the distance of conventional promotional pens. 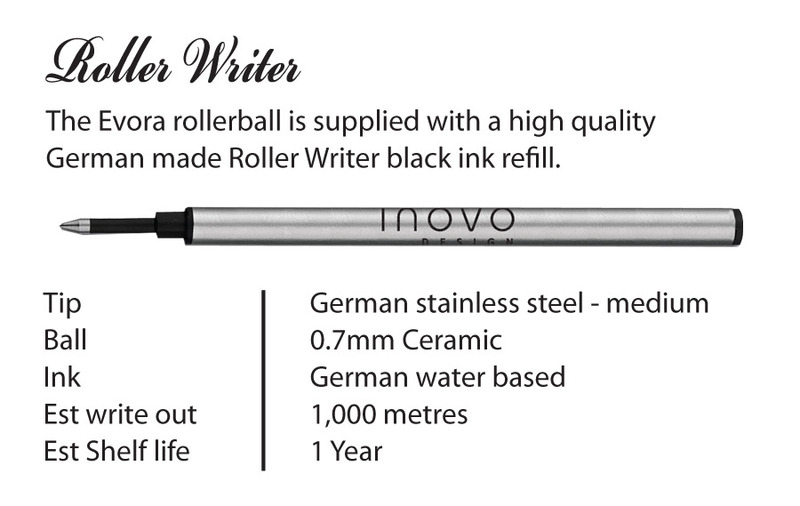 The Evora rollerball is supplied with a high quality German made Roller Writer black ink refill.